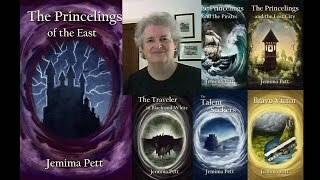 Jemima Pett has read 17 of 52 books. Jemima Pett read 68 books of her goal of 52! Jemima Pett read 61 books of her goal of 52! Jemima Pett read 65 books of her goal of 52! Jemima Pett read 62 books of her goal of 60! Jemima Pett read 61 books of her goal of 60! Jemima Pett read 53 books of her goal of 50! The moral of the story is... follow your star, it's I left school with the careers advice "Well, you're going to do Maths at University aren't you?". And then what? 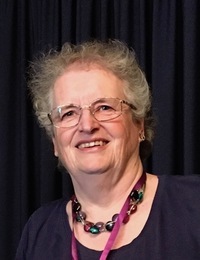 To ask Jemima Pett questions, please sign up. 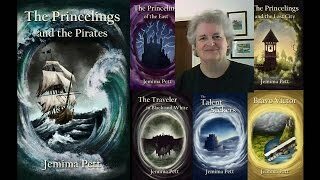 Jemima Pett Do you ever walk along telling a story to yourself? Favourite characters? Imaginary friends? Does it get in the way of other things? Writing gets them…moreDo you ever walk along telling a story to yourself? Favourite characters? Imaginary friends? Does it get in the way of other things? Writing gets them out of your head and onto the page. Then you never lose them, but they don't interfere any more. It's great. You can always find these people whom you once knew well, intimately, when you thought you'd forgotten them. Jemima Pett I confess that so far I haven't really suffered from it. Shelving Victor's story for a few years was a form of it, but I wrote other stories while…moreI confess that so far I haven't really suffered from it. Shelving Victor's story for a few years was a form of it, but I wrote other stories while that one was maturing. Sometimes I don't know what to write next, which is another form of block. Then I re-read what I've written so far, and ask what happens next. Getting the words down is the key thing. If they turn out rubbish, they can be edited. Whole characters can be edited! The post Review | Heiða, by Steinunn Sigurðardóttir #atozchallenge appeared first on Jemima Pett. We’d love your help. Let us know what’s wrong with this preview of The Seagull by Ann Cleeves. We’d love your help. Let us know what’s wrong with this preview of Sassinak by Anne McCaffrey.
" I'm confused. The Night Diary wasn't in the poll. I've voted for something that I don't see listed here. Have I just missed something while I've been I'm confused. The Night Diary wasn't in the poll. I've voted for something that I don't see listed here. Have I just missed something while I've been away? Confused... ...more "
" I read The Lie Tree, which I'm sure we nominated for a BOTM once, which really surprised me, as it's terribly dark. But then, maybe only as dark and l I read The Lie Tree, which I'm sure we nominated for a BOTM once, which really surprised me, as it's terribly dark. But then, maybe only as dark and lurid as Jonathan Stroud's Lockwood & Sons series, but without the humour. Oh, I see you read the last in the series, CJ... I will say no more! ...more "
We’d love your help. Let us know what’s wrong with this preview of The Scent of Metal by Sabrina Chase.
" I'm tempted to second Scent of Metal, but I have Sabrina Chase's first series starting with The Long Way Hometo read first... can I nominate that and I'm tempted to second Scent of Metal, but I have Sabrina Chase's first series starting with The Long Way Hometo read first... can I nominate that and hope you'll second it? Or have we read it already? ...more "
" I started reading Sassinak yesterday so I'm not that far in, but hope to finish it by the weekend. So far, so good! " Patricia wrote: "I tried "Liking your quote Jemima, but it won't let me. I was able to like the others. Weird." Strange. I'm having trouble getting my blog to do something at the moment. Maybe it's somethng in the air! I spotted your mention of guinea pigs, so I thought I MUST contact you! They inspired my books. Victor will be 5 next week - he's my oldest. I tried "Liking your quote Jemima, but it won't let me. I was able to like the others. Weird. Hi Jemima, thanks for the friendship. :) I love your name!! Oh, and you must be a lovely person because you have guinea pigs. I love those little souls and had three. We had them for ten years, but sadly, they have now gone over the rainbow bridge. So upsetting I adored those little guys. Our forever babies brought so much joy, then sadness of their departure.